Yes, I know that it’s easy to use the Speer Preserve in Bloomfield as an alternative jumping off point to get up to the Heublein Tower and Metacomet Trail points beyond. And I totally suggest you do that when you become so inspired by this post to check out the area. Heck, spot a car over on the Avon side of the ridge and descend via Avon’s little-used trails up to the tower. You can strut at the top, amongst the plebes, and mumble to everyone within earshot how cool you are for utilizing under utilized trails to the top. People will love you. But for the purposes of this page, we’re going to focus solely on the little 13.9-acre patch of Bloomfield land called the Speer Preserve. 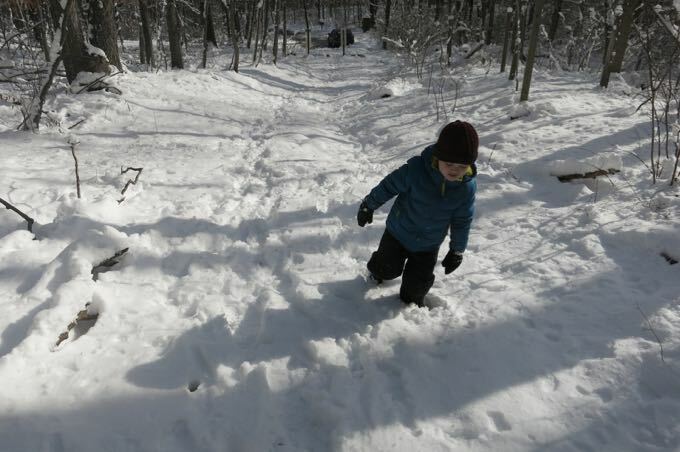 As you can see, I had my four-year-old son with me, hiking through the snow – and pushing him further on his first snow hike would have been foolish. 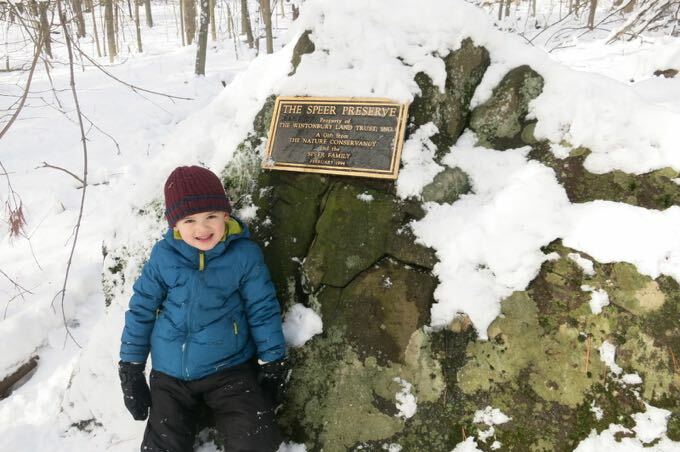 As it was, Calvin rather loved his first snow hike! 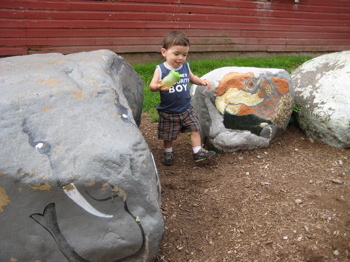 He trudged along behind me with nary a complaint and even spent a while playing along the way. I was a proud dad. 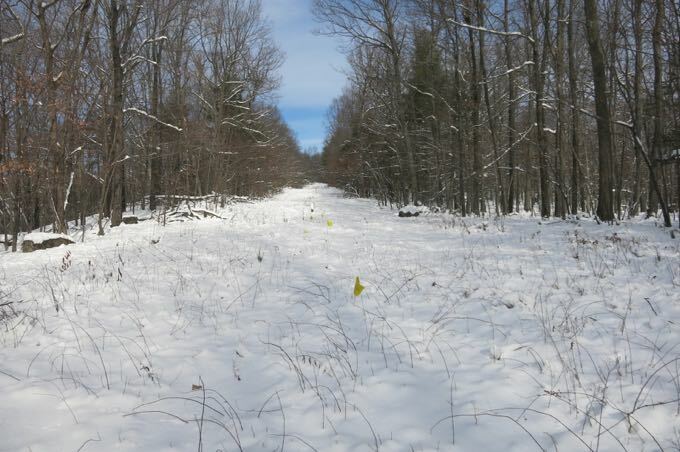 About the 10 acres of secluded woodland at the end of Juniper Road were donated March 1993 by the Nature Conservancy and Edmund and Elizabeth Speer. Ed and Elizabeth enjoyed living in the country and also in the city. The couple had a home in France, Bloomfield and in New York City. When the couple lived in France, Elizabeth became fluent in French. They pursued hobbies of photography and pottery and, perhaps their favorite activity, playing tennis. Edmund Speer, an avid environmentalist, aeronautical engineer, and community activist, passed away on November 29, 2002. After Edmund died, Elizabeth Speer, born originally in St. Paul, Minnesota, moved to her husband’s home town, New York City where Speer’s relatives still live. 3.5 of additional acres were donated by Elizabeth Speer in 2009. Elizabeth Speer, known for her athletic nature, generosity and wit, died on February 6, 2014. Sounds like the Speers lived a life my wife and I would like to live. Then again, we’re not aeronautical engineers, which may be the biggest differentiator. Oh well. Though we did go to France once if that counts. I appreciate their honesty. And their trust that their electric fence works. Up here, high on “the mountain,” there are plenty of bears, deer, and bobcats wondering around. I imagine this person’s dogs have loads of fun chasing them through the woods only to be shocked to oblivion upon reaching the property line. 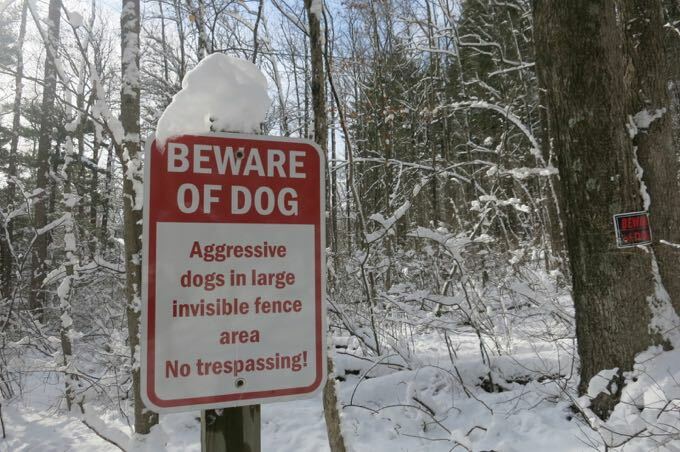 Fortunately, we didn’t see any dogs. I chose to hike west, up what is basically a forest road. 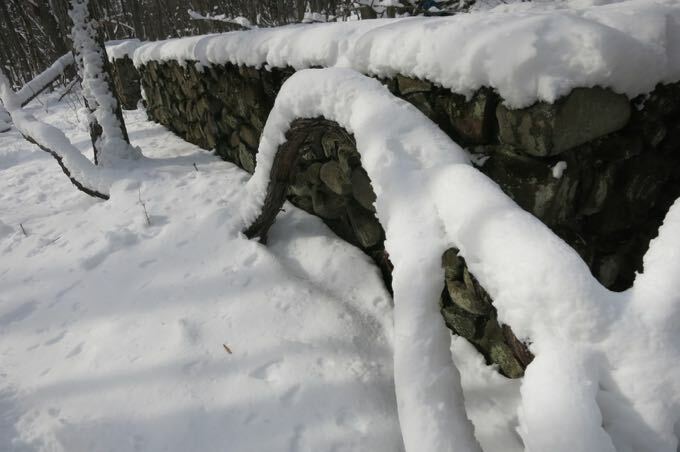 It climbs a bit and remains pin straight until it reaches the gas line right-of-way. 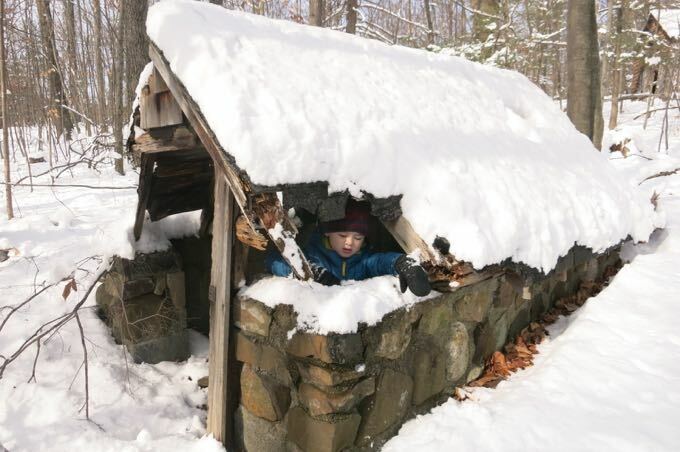 It’s here that you can continue a few different ways into MDC and/or Talcott Mountain State Park land. There’s a fence, but there are also plenty of holes in that fence. 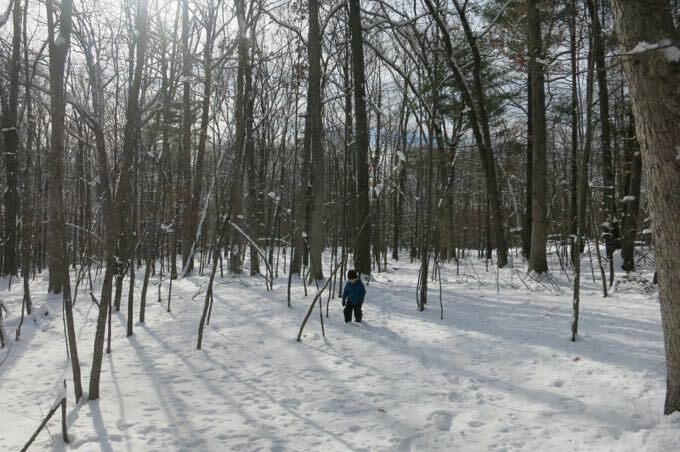 Calvin and I merely trudged up the hill a bit more along the cleared right-of-way, but that got boring quickly (and who wants to step onto Simsbury land anyway?). 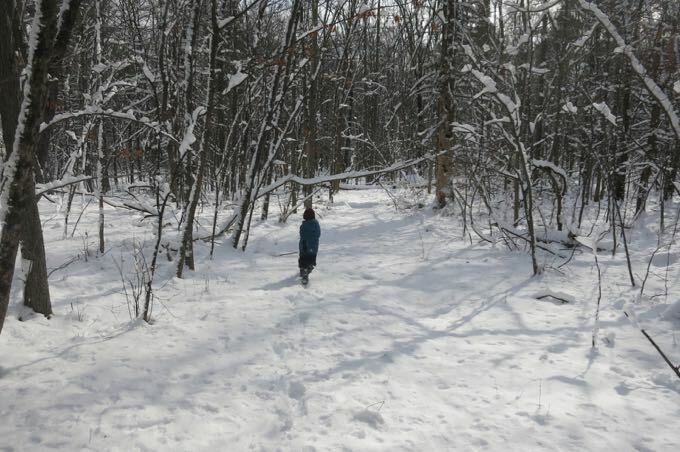 We then dipped into the woods – so yes, I was leading my son on a snowy bushwhack! 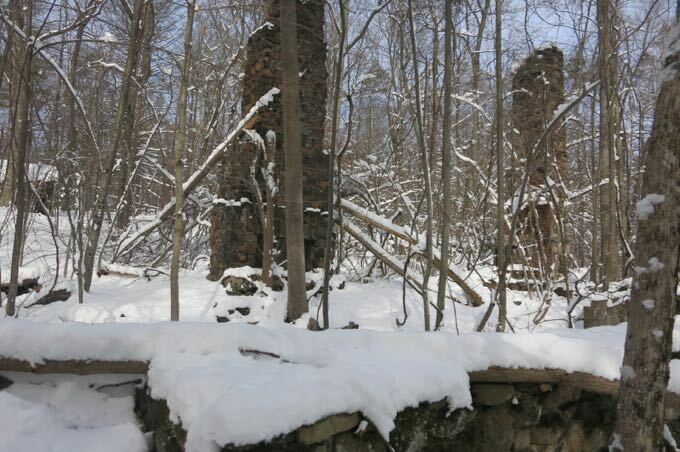 After a few minutes, I found the “main attraction” of the Speer Preserve: The old foundation in the woods! I read somewhere this is an Old Speer family house from the mid-1800’s. 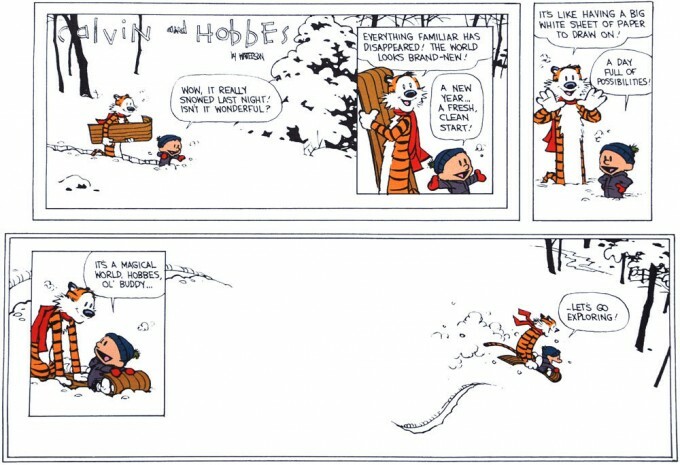 I have no idea how true that is, but I do know that Calvin loved it. He was fascinated by a “house with nothing but two chimneys.” So many questions about how such a thing came to be, where each room was located, etc. 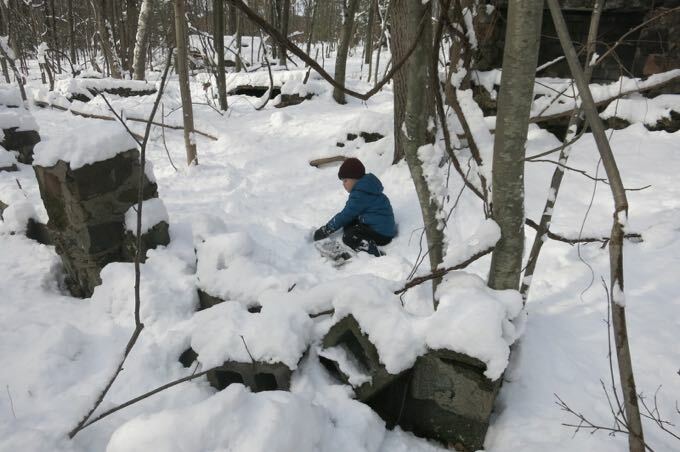 He decided where the kitchen was, and began clearing snow to “make lunch.” He didn’t not care a whit that he was trudging over unseen rocks and junk in half a foot of snow. The boy just wanted to act out making lunch on the hearth. After 15-minutes of playing al fresco house, we moved along. I found the other woods road(ish) and we made our way back down the hill. Calvin ran. In the snow. Amazingly, he didn’t get hurt and again, don’t tell my wife. The trail/road here passes very near a house, but that’s just the way it is. The “northern route” also featurns the bounder with the plaque as well. This was the very last strip, by the way.